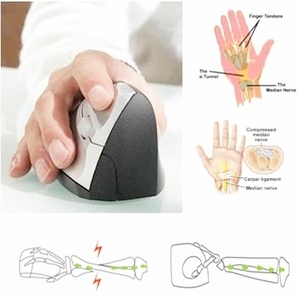 Here's one way to avoid aches and pains of your wrist by using this Ergonomically Designed Laptop Mouse. Its unique design allows your wrist and palm to be in a more naturally and comfortable position while using it. Do note that this ergonomic wired USB mouse is for right handed use only.